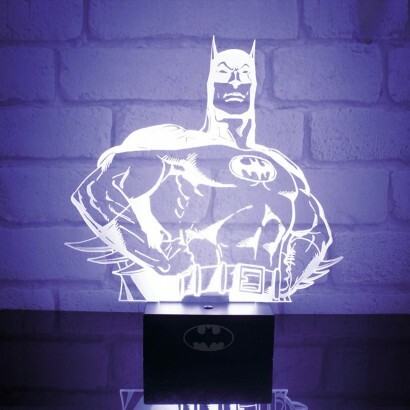 Gotham City's number one hero is etched in acrylic and lit by bright white LEDs to make a stand out mood light. 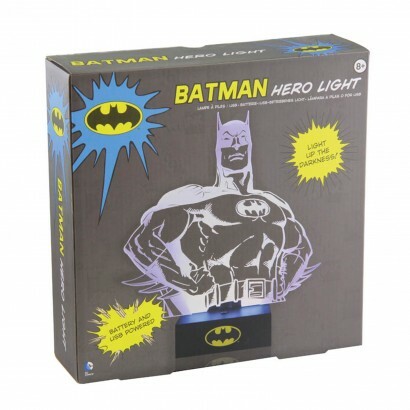 All of the detail in the portrait image is picked out with white light projecting the iconic Dark Knight into your room. 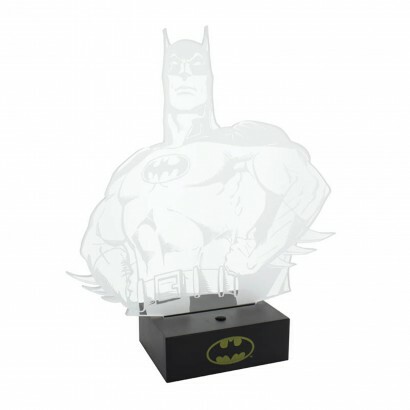 The dual powered base can be used with either batteries or with micro USB (included) so that you can place Batman anywhere in your home lighting the way and fighting the forces of darkness.